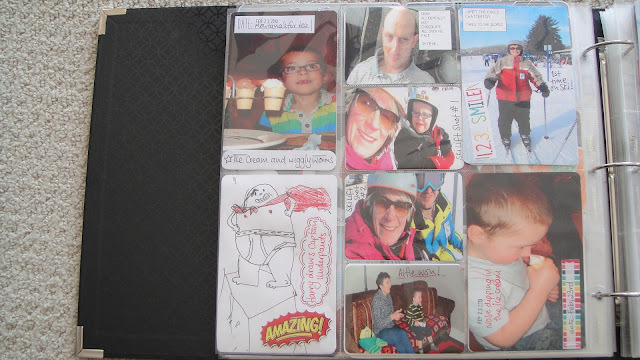 I am loving this project, but have backed away from sharing every spread here on my blog. I take lots of piccy's each week and some of the images end up on my blog and some in the Project Life folder and I am happy with it that way. 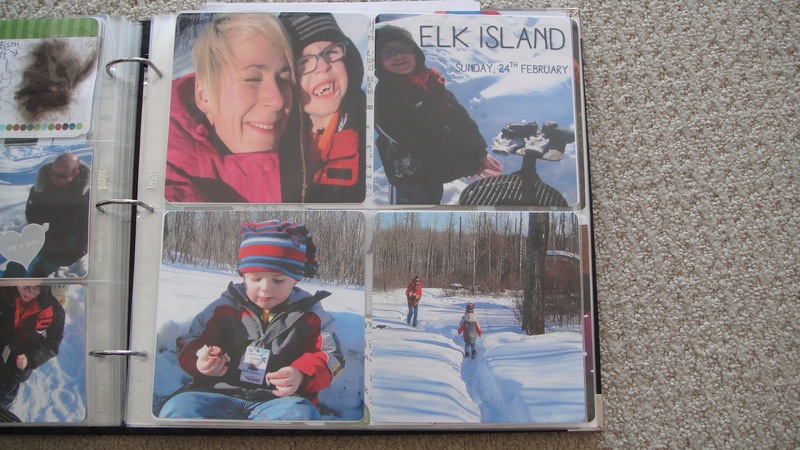 My PL folder was always going to be a special place for family adventures. I have been adding a few cartoon style speech bubbles in and am planning a whole week based on a cartoon strip- may need a bit of planning! 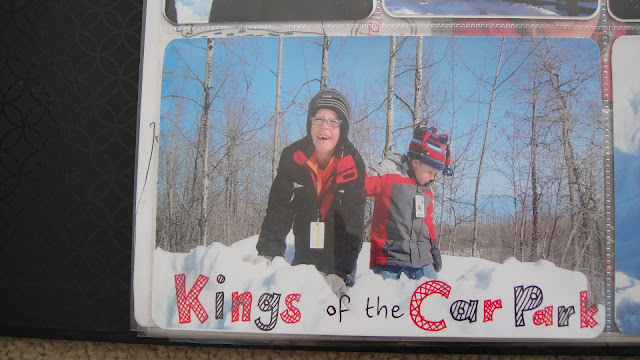 I am still drawing and writing on my piccys and am just using black and red thin Sharpies- I love how sticking to the two colours looks on the pictures. We had some very special time with family from the UK and I added in a large Design E page to highlight the trips we took. It makes a nice change to have some large pictures that tell a great story. We took a trip to Elk Island and collected some Bison fluff! I just had to find a way to stick it in the PL folder. Harry hand drew the Bison too- boys got real talent! This is the table chaos at out Ladies Project Life Gatherings each month! It involves treats, wine and photo chaos! I tend to have all my pictures in already as I size and print them to go in specific places but use the meetings as a time to draw, write and clip things to the pictures. I have added in a few extra, cut down sheets when I have had too many pictures for the week. I wanted a way to highlight the extra bit rather than people just flipping to the next page without noticing the cut down section. I took a basic journaling card and cropped it down and stapled it to the edge of the sheet. It works perfectly and looks fab. 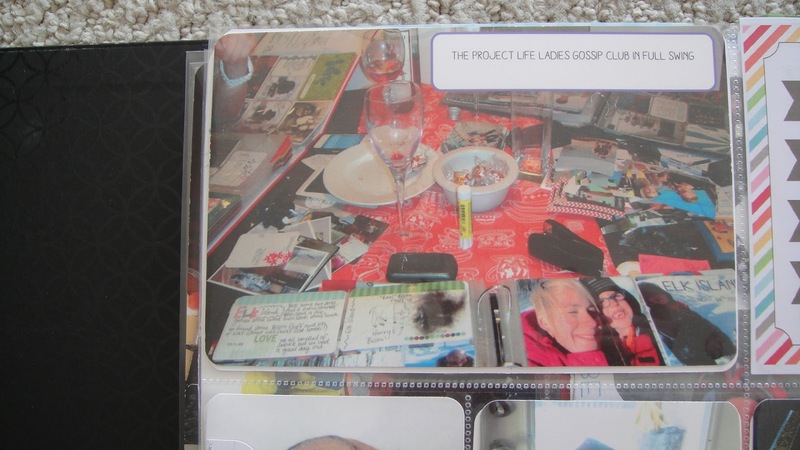 If you are a Project Lifer too, what are your hints and tips for making it your own? 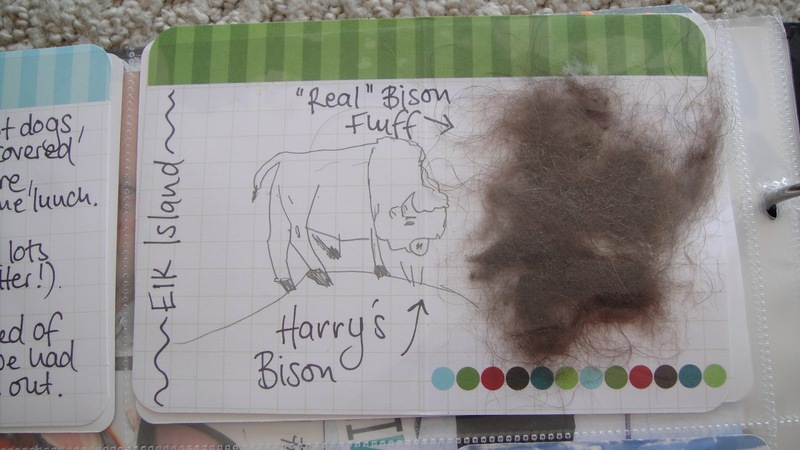 cool.. the bison fluff is great.